We have a wide range of DEE- and Bow-shackles available with us in different grades. Eyebolts are bolts with a circular ring on the head of the bolt. Eye bolts are commonly used to attach cables to objects. Lightweight and compact design of deep-drawn stamped-steel construction. Thick gear and brake covers that are resistant to external shock and able to work under extreme and arduous conditions. Sets new standards for simplicity and safety in industrial lifting equipment. Overhead cranes utilize the latest technology to increase the safety and productivity of our customer’s business. 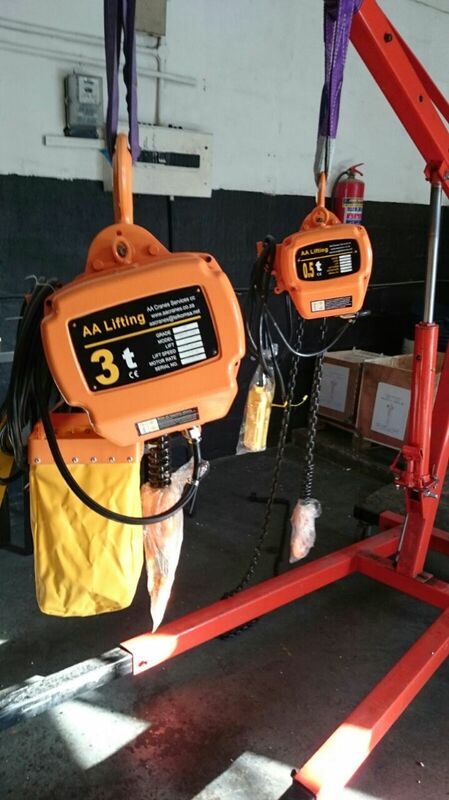 As specialist lifting equipment suppliers AA lifting puts quality and value first. We only supply equipment made to strict local and international standards with certificates you can trust.